Since the introduction of market-based economic reforms in 1978, China has become the world’s fastest growing economy. Parallel to this economic growth has been the unprecedented production of art. While the majority of contemporary art practices have centered upon the traditional genres of painting and sculpture, the expansion of work in video and new media has been rapidly evolving. Perspectives 180-Unfinished Country: New Video from China presents a cross-section of work by a new generation of artists from China working in video and video installation. A separate program of cinematic work by emerging artists will also accompany the exhibition. Not long ago works in new media were unavailable and, depending on content, even illegal in China. But now the medium is at the forefront of a new generation of young artists. Formerly a curator at the Hammer Museum in Los Angeles, Elaine moved to China to experience first-hand the country’s rapidly evolving culture and its impact upon the production of contemporary art. What he has chronicled, first in an exhibition and later in a blog for the Hammer, is work by a new generation of artists emerging from China who are increasingly inventive, thoughtful, and masterful in their use of the medium. Unfinished Country: New Video from China is presented in two parts. On view at CAMH is work by eleven young emerging artists from China ranging from projections to sculpture and installations. Featured artists are Chen Qiulin, Chen Zhou, Hu Xiaoyuan, Huang Ran, Jin Shan, Li Ming, Li Ran, Lu Yang, Ma Qiusha, Sun Xun, and Yan Xing. A separate but integral component of the exhibition is a selection of cinematic shorts that will screen at Asia Society Texas Center. The two-part screening features work from artists Cheng Ran, Chen Xiaoyun, Wang Qingsong, Yang Fudong, Yu Ying, Zhai Chenglei, and Zhang Ding, among others. The screenings are on Sunday, December 2 and Sunday, January 6, both at 5PM. “The title Unfinished Country comes from a video of the same name by Yu Ying, a recent graduate of the Central Academy of Fine Arts in Beijing. His video is based on an unfinished painting from the Cultural Revolution era in China. I borrowed his title intending it to portray contemporary China in a broader sense—the country is in transition in every respect. Unfinished Country provides us a small window through which to view what is going on in the minds and lives of these artists and to look at the ancient country of China as it rises to a new position in the twenty-first century,” says Elaine. James Elaine is an independent curator who has lived and worked in China since 2008. Formerly, he was curator at the Hammer Museum in Los Angeles and the Drawing Center in New York. For over 20 years, he has focused on the work of emerging artists. His most recent curatorial projects include Antony (2012) at the Hammer Museum and In a Perfect World…. (2011) at Meulensteen Gallery, New York, which featured painting, sculpture, video, and installation work from China. Elaine has written and lectured extensively on contemporary art from Asia and is a faculty member for Art International Residency Projects in Beijing. In 2008, he was the recipient of the prestigious Ordway Prize. Asia Society Texas Center is part of a leading global educational organization dedicated to promoting mutual understanding and strengthening partnerships among peoples, leaders, and institutions of Asia and the United States in a global context. Across the fields of arts, business, culture, education, and policy, Asia Society Texas Center provides insight, generates ideas, and promotes collaboration to connect Americans and Asians for a shared future. The Perspectives Seriesis made possible by a major grant from Fayez Sarofim and by donors to the Museum’s Perspectives Fund: Anonymous, Bright Star Productions Inc., The Brown Foundation, Inc., Dillon Kyle Architecture, Heidi and David Gerger, Kerry Inman and Denby Auble, Mady and Ken Kades, Karol Kreymer and Robert J. Card, M.D., Poppi Massey, Leslie and Shannon Sasser in Honor of Lynn Herbert, William F. Stern, Martha Claire Tompkins, and 20K Group, LLC. Funding for the Museum’s operations through the Fund for the Future is made possible by generous grants from Chinhui Juhn and Eddie Allen, Anonymous, Jereann Chaney, Sara Dodd-Spickelmier and Keith Spickelmier. Jo and Jim Furr, Barbara and Michael Gamson, Brenda and William Goldberg, Marley Lott, Leticia Loya and Fayez Sarofim. The Museum’s operations and programs are made possible through the generosity of the Museum’s trustees, patrons, members and donors. 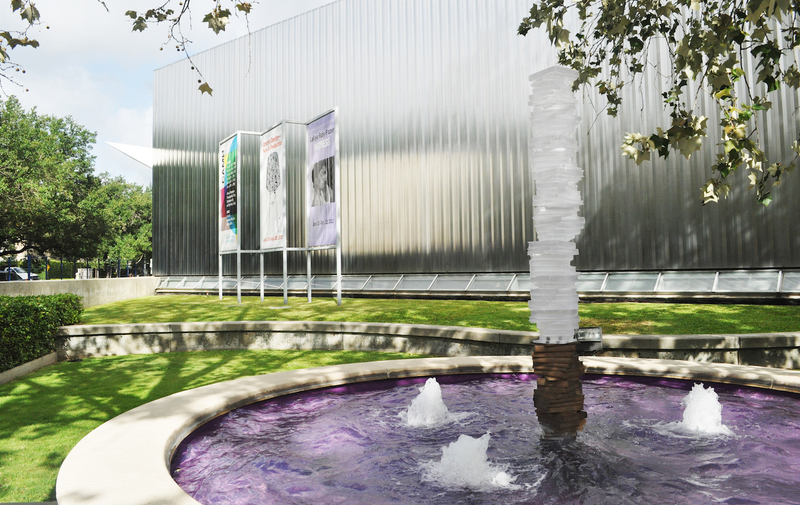 The Contemporary Arts Museum Houston receives partial operating support from the Houston Endowment, the City of Houston through the Houston Museum District Association, the National Endowment for the Arts, the Texas Commission on the Arts, and The Wortham Foundation, Inc. CAMH also thanks its artist benefactors for their support including Ricci Albenda, Anonymous, McArthur Binion, Brendan Cass, Mel Chin, Leonardo Drew, Tim Gardner, Robert Gober, Wayne Gonzales, Oliver Herring, Jim Hodges, Michael Joo, Kurt Kauper, Jon Kessler, Terence Koh, Sean Landers, Zoe Leonard, Marilyn Minter, Donald Moffett, Ernesto Neto, Roxy Paine, Laurie Simmons, Josh Smith, Marc Swanson, and William Wegman. Perspectives 180 – Unfinished Country: New Video from China is organized by James Elaine, an independent curator who has lived and worked in China since 2008.